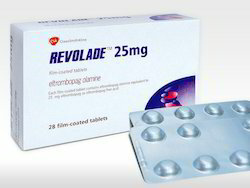 Our range of products include revolade 25mg, ristova injection, jevtana, pegadria 20mg and pomalid. Each white, round, biconvex, film-coated tablet, debossed with "GS NX3" and "25", contains 25 mg of eltrombopag as eltrombopag olamine.Nonmedicinal ingredients: magnesium stearate, mannitol, microcrystalline cellulose, povidone, sodium starch glycolate, hypromellose, macrogol, titanium dioxide, and polysorbate. 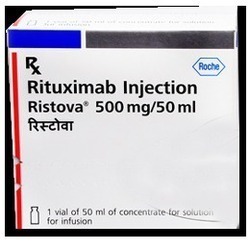 Keeping in mind the high demand of our valued customers, we are offering Ristova Injection. 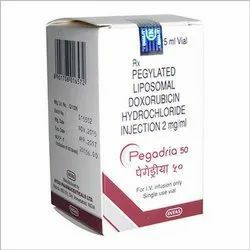 These injections are made with great compositions of medical chemical that is approved from medical industry. In order to meet the universal quality standards, our medical experts stringently check the entire range. Our offered injections are highly demanded by our patrons due to its accurate composition and effectiveness. Cabazitaxel ( Inj Jevtana by Sanofi Aventis ) belongs to the group of cancer-fighting medications known as antineoplastics. Specifically, it belongs to the group of antineoplastics known as taxanes. It works by slowing or stopping the growth of cancer cells in your body. Cabazitaxel is used along with prednisone or prednisolone to treat prostate cancer that has metastasized (spread), is resistant to hormone treatment and treatment with docetaxel has failed. Cabazitaxel is used with another medication (prednisone) to treat prostate cancer. It works by slowing or stopping the growth of cancer cells. This medication is a cytotoxic anthracycline antibiotic, prescribed for treating various types of cancer. It works by killing cancer cells. 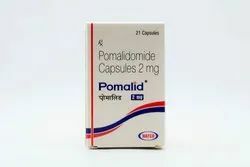 Pomalidomide is a thalidomide analogue indicated, in combination with dexamethasone, for patients with multiple myeloma who have received at least two prior therapies including lenalidomide and a proteasome inhibitor and have demonstrated disease progression on or within 60 days of completion of the last therapy," Natco said in a BSE filing. Looking for Cancer Treatment Medicine ?